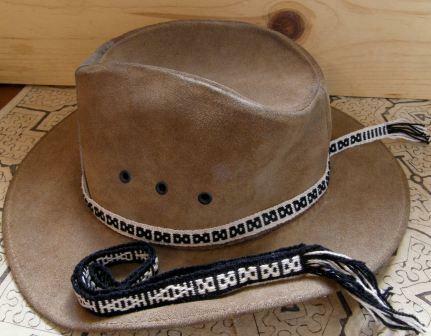 Backstrap Weaving-Beyond Bands, Weaving Wide! 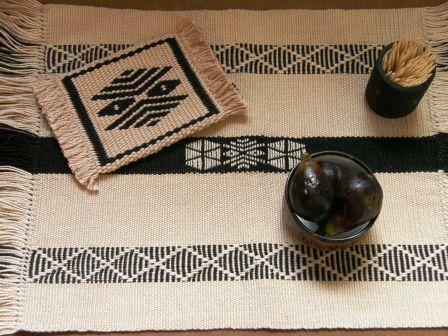 WEAVING WIDE-Placemats and table runners. I happened upon a Wikipedia description of a backstrap loom recently and was disappointed to find that the author had limited the description of the loom to one that is used with a rigid heddle for making primarily narrow bands. 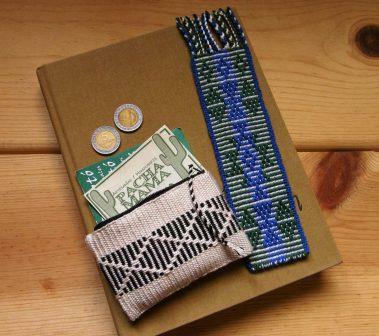 It is quite likely that this person has only seen the commercially available backstrap loom kits, most of which seem to come with a small rigid heddle and it is true that a lot people use the loom only for making bands. Indeed I have had people ask me on several occasions why one would bother using a backstrap loom at all when an inkle loom can produce the very same bands.Well,I answer them by saying that one of the many beauties of this loom is that you can also use it to go wide. Just how wide? 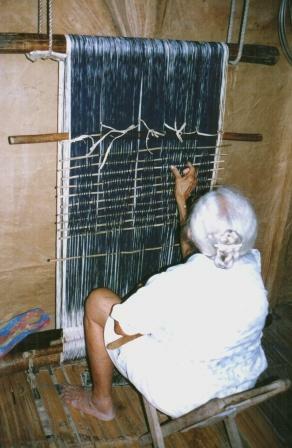 Take a look at some weavers I have met in my travels………. Well, you probably don’t want to go that wide at this stage! I certainly haven’t contemplated attempting anything like that (yet!) In fact, the widest of the table runners I have made lately measures only 15 inches but, by branching out beyond band width, there are so many more neat and useful things you can make on your backstrap looms. Just add a litte pick up to a plain weave background to make bags, pillow covers and table ware. I see a lot of my students learning a pick up technique, weaving a few bands, moving on, learning another more advanced technique, adding to their collection of bands and so on and so on. While there are many beautiful and practical things that can be made with bands, I always hope that they will return some day to the simpler pick ups and use them in wider pieces-exploring and exploiting the techniques and going beyond bands. I think the secret to successfully weaving on progressively wider warps is, first and foremost, to keep it simple. You will notice that all except one of the weavers here are weaving plain weave. The poncho weaver (below) in Otavalo has chosen simple warp stripes, the Guatemalan lady (left) has stripes and strips of ikat in her piece while the weaver in Gualaceo (above) is weaving up her ikat design entirely in plain weave. 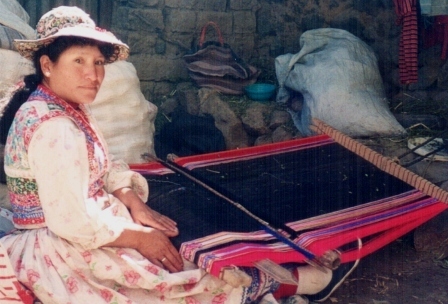 Only Estela in Cabanaconde is weaving very narrow bands of supplementary warp patterns in her carry cloth. One of the simplest patterning techiques is the simple paired warp floats that I learned in coastal Ecuador and I think this is the ideal technique to use for the first experiments in wider pieces. You will find my tutorial for this technique here. There are also pattern charts here on my blog pages should any of you be feeling adventurous. I hope I have inspired you to be so! Here is what has come off the loom recently…………. Those of you who have seen the tutorial will recognise the simple warp float technique. The mug rug, of course was woven in double weave. I fell in love with this knot pattern on a card woven band and also reproduced part of it on the mug rug. You can’t get much simpler than this basic diamond warp float design, yet it looks very effective on this wide piece. Going wide doesn’t necessarily mean increasing the pattern area and, therefore, the amount of pick up you need to do. I did a small amount of supplementary weft patterning in the the center black stripe and wove the mug rug motif based on that. Don’t worry, I will be doing a tutorial here on supplementary weft patterning in the near future! I have short videos and pattern charts on my Flickr page to supplement the tutorial instructions at Weavolution. A LITTLE BACKGROUND……..Learning the simple warp float patterning. I stayed with a family of weavers in coastal Ecuador for three weeks in 2007 to study their saddle bag making process. 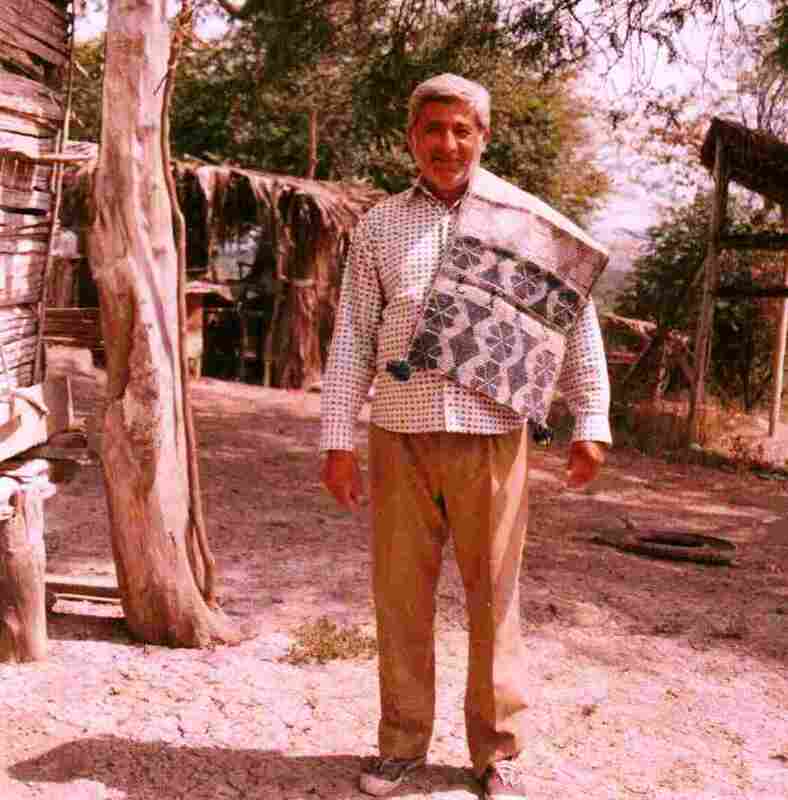 Eighty-six year old Luz is the only weaver in the area who still makes the saddle bags with warp float patterning. Luz and her family prepare the raw cotton, spin it on simple hand spindles, double it and dye it , ready to be wound on the vertical loom and woven into a saddle bag. They were very generous in allowing me to study their techniques and, in fact, insisted that I be involved in every part of the process. It was a wonderful learning experience! The typical pattern that they use has twenty-two rows and is horizontally symetrical which enables Luz to program half the design on eleven heddle sticks. 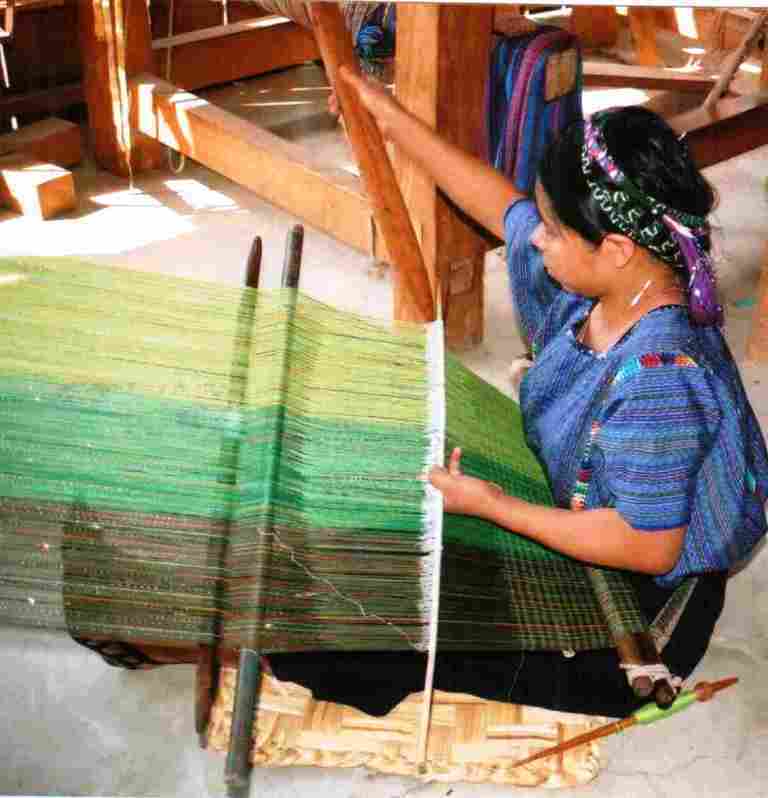 Luz sets up the heddles and then steps back while her daughters do the the more physically demanding weaving. The saddle bags would be slung over horse and donkey back and used to carry tools for a day at work in the fields. Men would often carry them on their shoulders on a trip into town. While saddle bags are still used, the cotton ones have been virtually completely replaced now by a plastic version and the art of weaving the warp float patterned bags is on the verge of being lost. Quite a bit of strength is needed to open that shed and look at the size of that sword!! Talking while weaving often led to disaster as the order of the eleven heddles would get hopelessly confused. But weaving was a family activity with everyone gathered around in the evening to watch and chat and the inevitable mistake brought laughter and teasing rather than frustration. 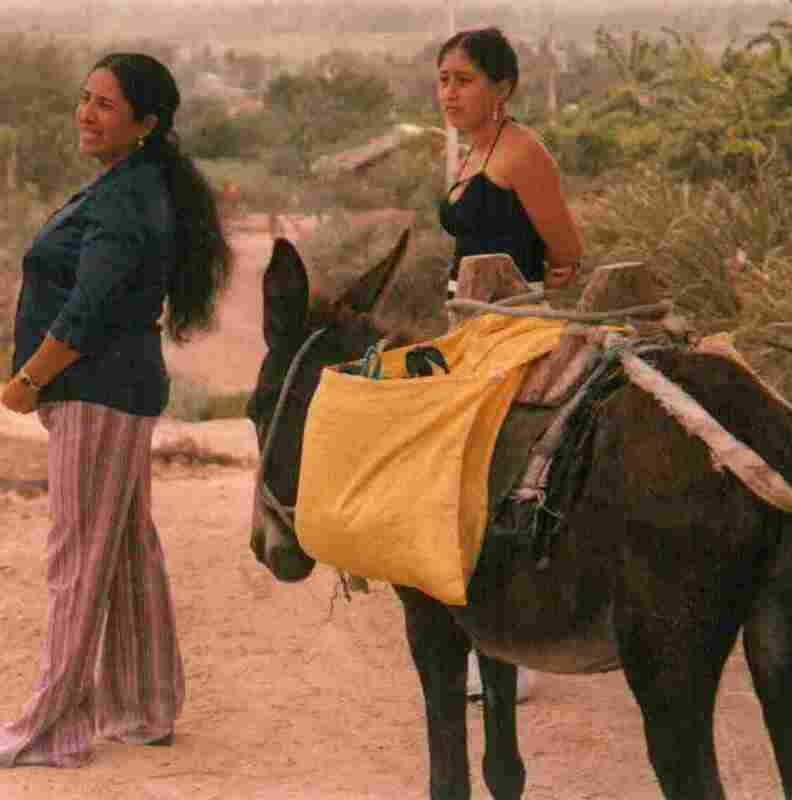 Finally, Luz’s son Leonardo is modeling the finished saddle bag for us………………..
while Trini and Catalina head off to the market with one of the new woven plastic versions on the the mule’s back. I have woven 16 inch wide by 24 inch long dish towels on my backstrap loom. The reason I wanted to use the backstrap is to get finished edges on all four side and BS does that for me. I could not have done this without Laverne’s help and encouragement. I would like to know where you find the threads you are using to weave these — what material and size? Any good place to look for them? I hate being in such a rural area of Tennessee, it is hard to find any decent craft supply shops. I feel a little like you do! as I am in the Bolivian lowlands and there is not much available for this kind of thing. 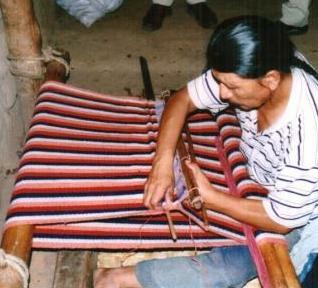 The indigenous weavers use respun acrylic or their own handspun sheep or llama wool. I make do with what I can find-mostly crochet cotton and perle cotton which is firmly spun and very good for backstrap weaving. Basically for the mug rugs I am using a 12 wpi mercerized cotton-mercerized is important for double weave as there are a lot of threads pushed up against each other which cause them to rub and lightly spun or fluffy yarns will pill too much. I wouldn’t use Sugar and Creme yarn, which I know is a widely available 12 wpi cotton in the US, for those mug rugs. A friend sent me some to try and I found it way too soft for double weave. For the blue mug rugs that I made with the placemat, I plied 24 wpi cotton as I couldn’t match the color of the placemat in the 12wpi yarn and that worked well. 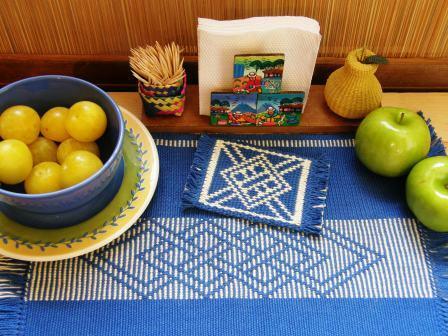 The placemats themselves are made with 24 wpi crochet cotton. If you can only get unmercerized, you could try respinning it-I don’t know if you are a spinner. Perhaps there are some members in rural Tennesssee on Weavolution who could help. Are you in Weavolution? Well worth joining-you will find the link here on my blog. I believe #3 crochet cotton is widely available. It measures about 12 wraps per inch (WPI). You wind it around a ruler and count how many times you can wrap side by side in one inch. My first backstrap bands are made with crochet cotton and I wouldn’t apologize to anybody for it. 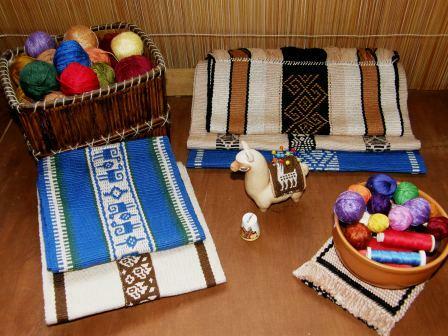 One of the great things about weaving is being able to use what we have. 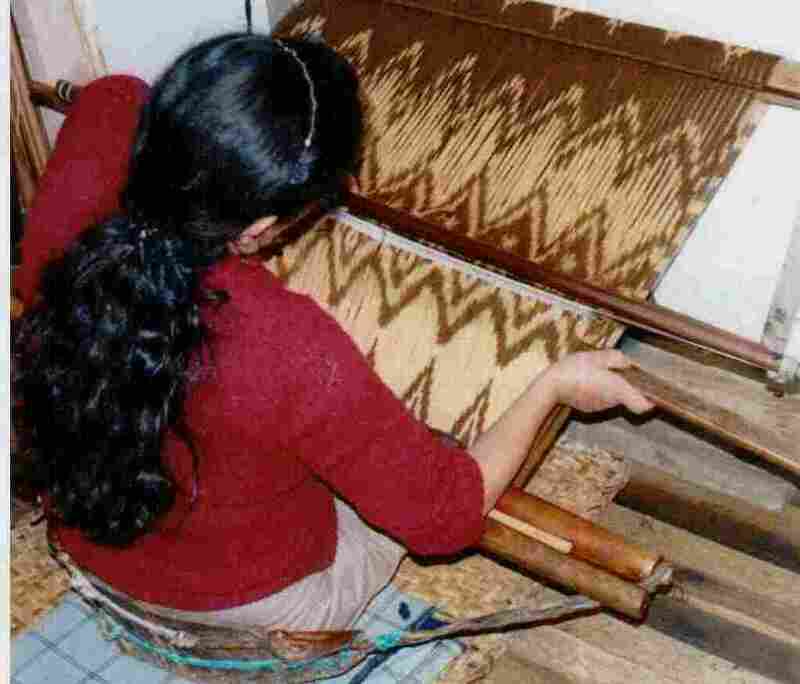 Backstrap weaving is all about the weaver making choices and making it work. What useful information and beautiful photos! Thanks! Thanks Pegi Rose 🙂 Nice to see you back here visiting. Did you notice the wikipedia Looms-backstrap now mentions ponchos, bags, carrying cloths? Yes, Franco-that’s my edit!-did you see my BTW at the end of the first section of my blog post? Thanks for posting that link. 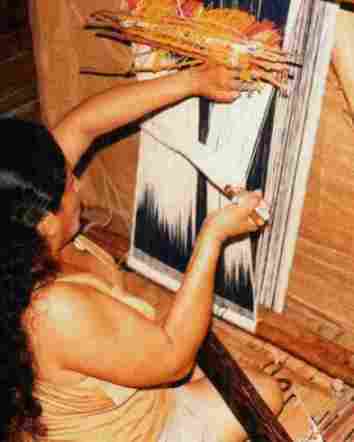 I am going to put a photo of a loom on Wikipedia too once I find a suitable one. Yes, I see the ps now. 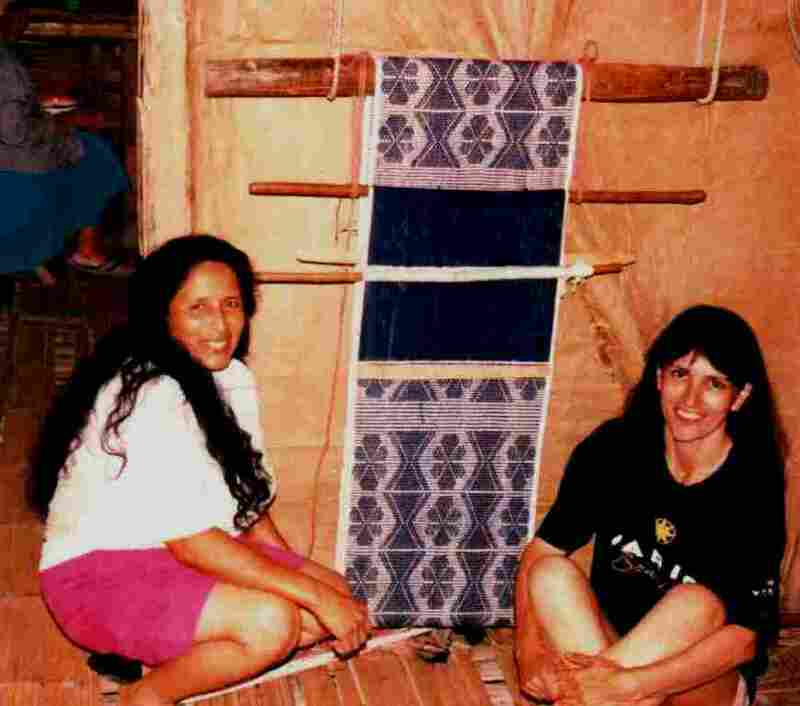 This is so beautiful and inspiring, not only the weaving but the people as well. Thank you, Laverne, for sharing!